In the UK, getting a further education means that you have completed the secondary education and is above age 16. Further education (FE) courses don’t have to be studied at a university, they are often offered by academies, colleges etc. There are a diverse range of courses as you would expect from a university and qualifications such as Higher National Diplomas (HNDs). Colleges delivering further education have more part-time and more working students. Courses may last one or two years and for these reasons more adults are getting back to school. There are both public and private colleges and there are more than 240 altogether in the UK. Tuition fees is lower and they have smaller classrooms. While most of them are presently offering degrees, many are only authorised to offer courses leading to a degree. 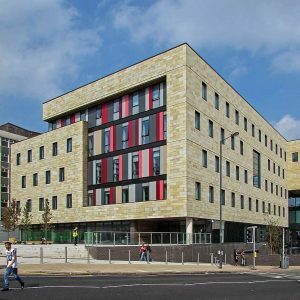 Bradford College is among the largest further education colleges in England with approximately 170 courses. They currently have about 25, 000 students and those who need support to learn because they feel uncomfortable in a bigger learning environment, could be given more attention at the Bradford Forster College. Either way, you get an accredited qualification at the end of your study. Canterbury college is the base for the best higher education courses. At Canterbury, everyone gets the chance to develop, with the kind of learning experiences and carefully designed assessments you get. Canterbury has earned recognition for their high quality teaching and support they provide to students. The University of Kent, University of Greenwich and the Canterbury Christ Church university are their current partner universities. It is known for its creativity and is one of the most outstanding art colleges in the UK. As part of the University of Edinburgh, you can only expect extraordinary courses.